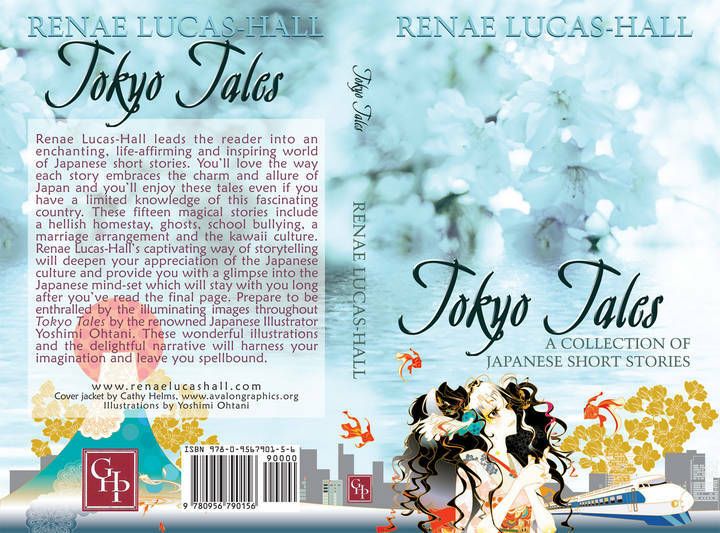 I’m so pleased to show you the front and back cover for my exciting new book, which will be available in just a few weeks, called Tokyo Tales: A Collection of Japanese Short Stories. Yoshimi Ohtani has provided a gorgeous illustration to complement the wonderful work by my graphic designer Cathy Helms at Avalon Graphics. I’m sure you’ll appreciate Yoshimi Ohtani’s beautiful image of Mount Fuji on the back cover. As you’re probably aware, this sacred mountain was granted UNESCO cultural World Heritage status in 2013. 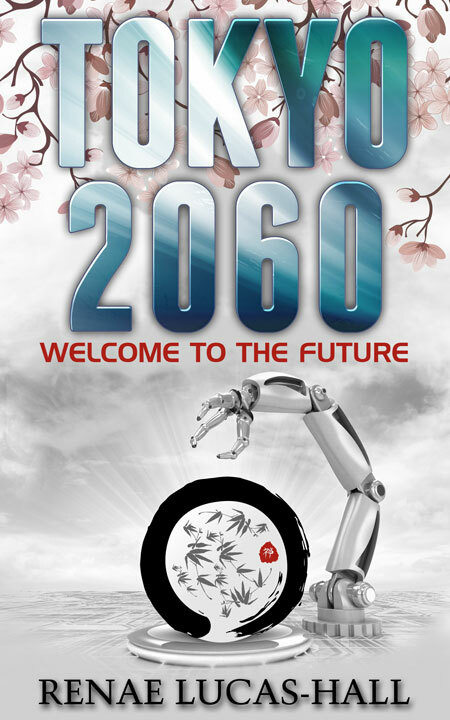 Yoshimi Ohtani has also created a stunning image for the front cover. It features a Japanese girl in an elaborate kimono standing next to the Shinkansen Bullet Train – another symbol of Japan that has always been revered on an international scale for its incredible speeds, reliability, comfort and futuristic designs. When my husband joined me on my most recent trip to Japan he absolutely loved travelling on the Bullet Train from Tokyo to Kyoto and back to the capital again. In fact, it was his favourite experience throughout the whole trip so he really appreciates the image of the Shinkansen on the front cover of my latest book. 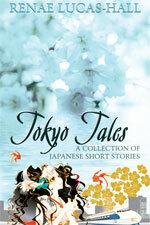 Tokyo Tales: A Collection of Japanese Short Stories will be available as an eBook in just a couple of weeks so please visit my Cherry Blossom Stories Blog again to find out when you can buy a copy of the book. The paperback version will be available later in 2014. I’ve created a new author page on Facebook. If you’re passionate about finding out more about the Japanese culture and if you enjoy reading literature set in Japan, then I’d really appreciate it if you could take a moment to visit my [Renae Lucas-Hall – Author/Writer/Blogger] Facebook page. I’d like to thank all my readers for their on-going support and for all the lovely reviews I’ve received from so many of you for my books. Please don’t hesitate to send me a message when you “Like” my Facebook page. I’m always happy to answer any of your questions about my books and my writing and offer advice to anyone who is planning to visit or work in Japan. My graphic designer Cathy at Avalon Graphics has created a gorgeous cover image for my Facebook page which you can see below. By the way, if you do join me on my Facebook page, you’ll be the first to know about all the new book releases and you’ll also be in the best position to enter any competitions to win free signed copies of my books. According to The Japan News by The Yomiuri Shimbun, the number of foreign visitors to Japan surged 24 per cent and topped the annual record of 10 million people in 2013. Many tourists are revisiting Tokyo just to see what’s new and to appreciate the ever-changing commercial landscape. Below, I’ve listed just a few of the newer, more popular developments. These attractions will be of interest if you’re planning your first trip to Tokyo, or you’ve travelled to Japan in the past and you’re looking forward to visiting destinations in Tokyo which didn’t exist on your previous visits. •	The majestic Tokyo Skytree which opened in 2012 is currently the most well-known and popular tourist attraction in Tokyo. 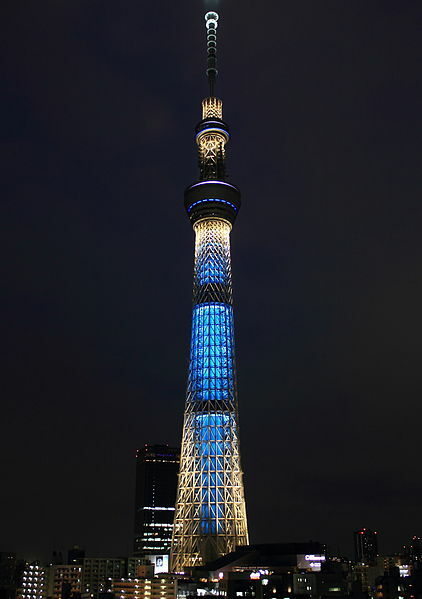 It’s 634 metres/2,080 feet high, the tallest broadcasting tower in the world and it attracted more than 6 million visitors in the first year of opening. •	The Asakusa Culture Tourist Information Center also opened in 2012. It’s located in front of the Kaminarimon Gate in Asakusa and it’s an excellent place to find out about what’s new in Tokyo and get tourist information in English. 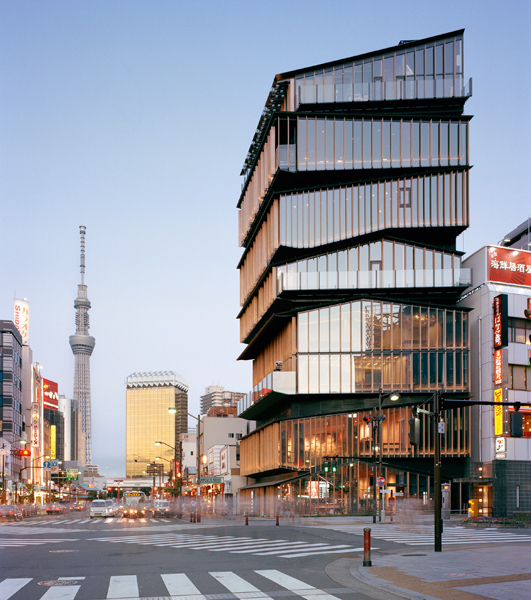 •	If you love to shop, I recommend the new 34-floor Hikarie shopping complex in Shibuya and the very glamorous Tokyu Plaza Omotesando Harajuku, at the Omotesando Avenue and Meiji-dori intersection in Aoyama. •	I also recommend a visit to the newly-refurbished Tokyo Station and the KITTE shopping complex in front of JR Tokyo Station’s Maranouchi South Exit, within the former Tokyo Central Post Office. The seven floors at KITTE offer a shopping and dining experience that embraces Japanese aesthetics and it’s the kind of place Japanese people buy presents for their Japanese friends. • Odaiba is a man-made island and shopping/dining/entertainment centre which has been developed in Tokyo Bay and is very popular with families. Attractions include the Oedo Onsen Monogatari (a hot spring theme park), the National Museum of Emerging Science, the famous Rainbow Bridge, a Leisureland for bowling, karaoke and sports games, as well as a variety of shopping malls, a Ferris wheel and the Museum of Maritime Science. • Finally, if you’re interested in art exhibits in Tokyo, I highly recommend a visit to the new “Art Triangle Roppongi” which includes The National Art Center, Tokyo, The Suntory Museum of Art and The Mori Art Museum, inside Tokyo Midtown. You can get a visual and audio guide at the reception desk that allows you to watch interviews with the artists and listen to commentaries on each art installation. Here’s a link for more information: Japan National Tourism Organization. So have a wonderful time in Tokyo if you’re planning a trip to Japan! 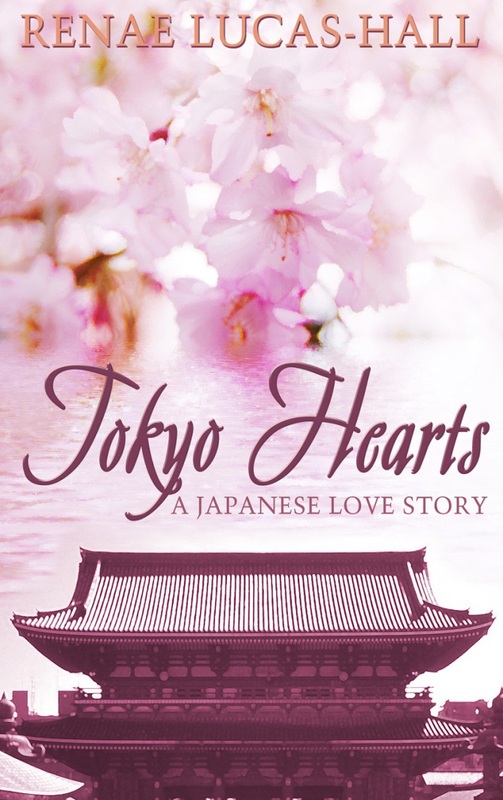 Recently, Mustika from Indonesia was kind enough to write a review on her blog for my first novel Tokyo Hearts: A Japanese Love Story . I’ve been very lucky to receive some wonderful reviews from readers and book reviewers all over the world and I thought it would be nice to share a few of them with you. I really appreciate everyone who has taken the time to write such lovely comments. Please note: If the reviews are written in another language you’ll see there is usually a translator available to convert the text into English or whichever language you prefer. Just click on the reviewer’s name to go directly to the full review. 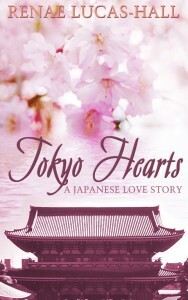 “They say you should never judge a book by its cover, but Tokyo Hearts is definitely an exception to the rule. As captivating inside as it is on the outside, it is a veritable smorgasbord of cultural eloquence.